What’s with all the acronyms? Lately, I have been hearing this question a lot from people whose lives have been touched by eating disorders. So I decided to ask my brilliant coauthor, clinical psychologist Jennifer J. Thomas to answer it for all of us. She is an assistant professor of psychology in the department of psychiatry at Harvard Medical School and Co-Director of the Eating Disorders Clinical and Research Program at Massachusetts General Hospital. And Dr. Thomas is just an overall amazing person, too. In the process of writing Almost Anorexic, not only did she demystify acronyms like DSM, (Diagnostic and Statistical Manual of Mental Disorders, a book clinicians use to diagnose psychiatric disorders), but she also became a new best friend. Yes, that’s BFF! I was thrilled to get my copy of DSM-5 in the mail this May. For one thing, it was bright purple—a cheerful improvement on DSM-IV’s dreary gray! More importantly, DSM-5 improved on upon DSM-IV by providing more detail about eating disorders that do not meet criteria for anorexia nervosa, bulimia nervosa, or binge eating disorder. These presentations were previously classified as Eating Disorder Not Otherwise Specified (EDNOS) in DSM-IV, but the category was renamed OSFED (Other Specified Feeding or Eating Disorder) in DSM-5. As a social media enthusiast, I have seen a lot of interesting Twitter responses to DSM-5 changes over the past few weeks, including tweets like “No more EDNOS? I guess I no longer have an eating disorder” or “OSFED? Ugh. I hate the ‘fed’ part.” So I’m writing this post as a way to de-mystify the recent changes to the category formerly known as EDNOS. Here is what really happened behind the scenes of DSM-5’s shiny (purple!) cover. When DSM-IV was published in 1994, folks with atypical or subthreshold eating disorders were classified as EDNOS. DSM-IV provided a list of six examples that might fall into this category. For instance, meeting all criteria for anorexia but continuing to menstruate counted as EDNOS, and so did repeatedly chewing and spitting out food. Ditto for purging in the absence of binge eating, or bingeing in the absence of purging. The advantage of the EDNOS category was that people could receive an eating disorder diagnosis without meeting the relatively narrow criteria for anorexia or bulimia. The disadvantage was that people with very different symptoms got lumped into the same category, which made accessing specialized care and conducting research pretty challenging. Unfortunately, the pervasive myth that EDNOS was somehow less severe than anorexia or bulimia sometimes prevented people who fit into this category from seeking help, or insurance companies from covering costs. Luckily, over the past 20 years, our understanding of subthreshold and atypical presentations has greatly improved. For example, my research has suggested that individuals who meet some but not all criteria for anorexia or bulimia typically have equivalent problems in the areas of eating disorder symptoms, medical consequences, and overall mental health. Jenni Schaefer and I thought this message was so important that it formed the basis for our book, Almost Anorexic! Meanwhile, other clinical researchers identified new disorders that they suggested for inclusion in DSM-5. You have probably heard of binge eating disorder—first described by Mickey Stunkard at University of Pennsylvania—where individuals binge eat but do not purge. 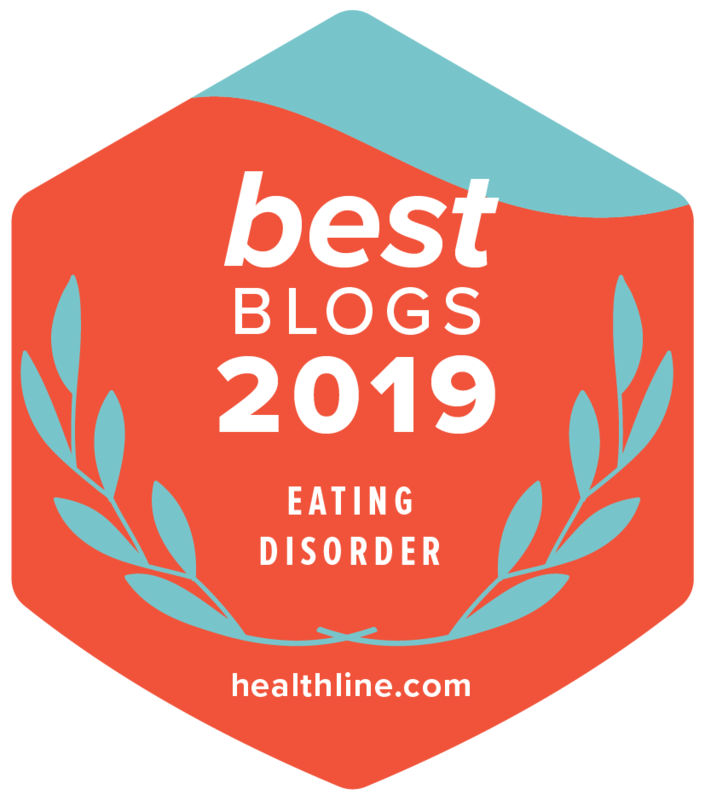 With the advent of DSM-5, binge eating disorder was removed from the DSM-IV EDNOS category and added as an official eating disorder diagnosis. Similarly, Pamela Keel at Florida State University identified a new syndrome called purging disorder, in which people purge but, unlike those with bulimia, do not binge. Meanwhile, Kelly Allison and her colleagues at University of Pennsylvania proposed a new category called night eating syndrome. People with night eating syndrome are distressed by a problem with their sleep-wake cycle that causes them to eat very little during the day and then either consume most of their calories in the evening or wake up in the middle of the night to eat. DSM-5 also includes a category called Unspecified Feeding or Eating Disorder (UFED) that is reserved for folks who don’t fit into any of these five categories, or for whom there is not enough information to make a specific OSFED diagnosis. In our study of DSM-5 changes at the Klarman Eating Disorders Center, just 1 of 150 patients had UFED. This patient struggled with bingeing and purging but didn’t have the intense shape and weight concerns that are required for a bulimia diagnosis. I appreciate that UFED is kind of a strange name. And, as highlighted by the tweets I shared above, OSFED is no better. But rest assured that the DSM-5 Eating Disorders Work Group did not select these acronyms in order to confuse us or in any way diminish the importance of these conditions. Instead, the new names were part of DSM-wide changes, meaning that OSFED and UFED are in good company with “Other Specified Depressive Disorder” and “Unspecified Anxiety Disorder,” among others. To complicate matters even further (provided your head isn’t already spinning from all of these acronyms! ), if you were following the DSM-5 process closely, you may have even heard OSFED referred to as FECNEC (Feeding or Eating Conditions Not Elsewhere Classified) or FEDNEC (where “conditions” became “disorders”). But both FEDNEC and FECNEC ultimately fell on the cutting room floor, so from now on we will stick with OSFED. …at least until DSM-6. TMI? The bottom line? Whatever acronym best describes your eating disorder symptoms, full recovery is possible! Thanks so much for your great post, Jenny. (If you meet Dr. Thomas, she will tell you to call her Jenny. Yes, our book is by Jenny and Jenni!) We would love to hear from you. Please post comments and questions here. We will do our best to respond. This post has become so popular that we have created a downloadable version!